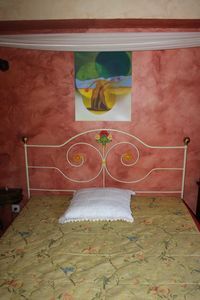 Sleeping up to fourteen people, Casa Angelica Miracampo is the perfect choice for a villa holiday for large groups or several families wishing to holiday together. 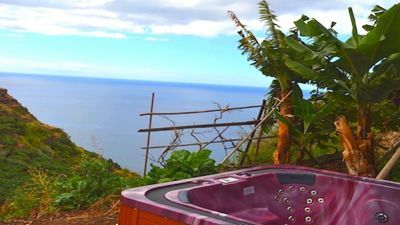 It is situated on a small private estate of just four houses with a security entrance, set back from the road that leads to the beautiful Castelo Beach, the villa is within an easy walk of nearby shops and restaurants. 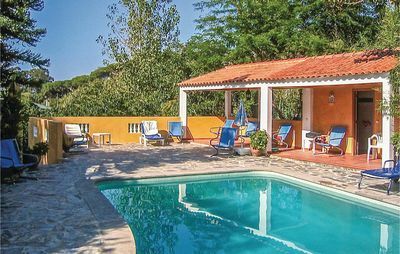 Inside, the villa is split into two self-contained apartments - the lower floor has three bedrooms, three bathrooms, a kitchen and dining room large enough to cater for guests of the whole house. 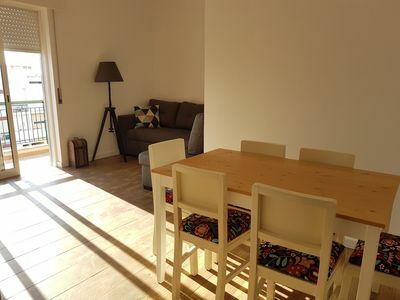 The upper floor - reached by external stairs - has three bedrooms, three bathrooms and its own living room and kitchen, making it perfect for separate families, older teenagers, or grandparents looking for a little bit of independence while on a group holiday. 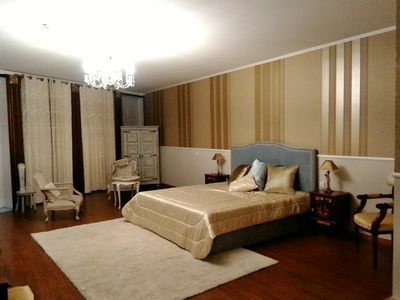 The three bedrooms on the ground floor are made up of two doubles and a twin. The two doubles each have an en-suite bathroom, and there is a further house bathroom with a bath and a shower. 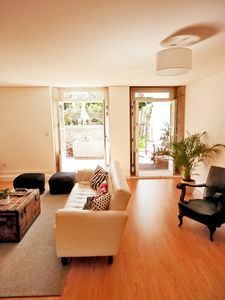 A spacious lounge-dining room, and a large fully equipped kitchen make up the accommodation on the ground floor. An external staircase leads to the upper floor where there are a further two double bedrooms - one with en-suite bathroom, a twin bedroom and a shower bathroom. 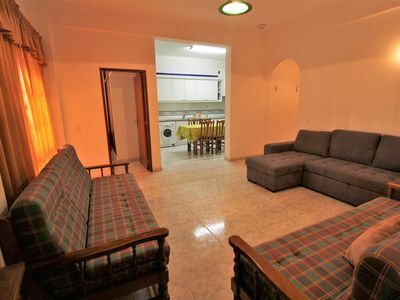 There is also a kitchen and living room, making this a fully self-contained apartment. There is also a large terrace on this floor with reaching views of the surrounding countryside, and a portable barbecue. The private walled garden is lined with pretty trees and a lawn round the edge of the pool terrace. 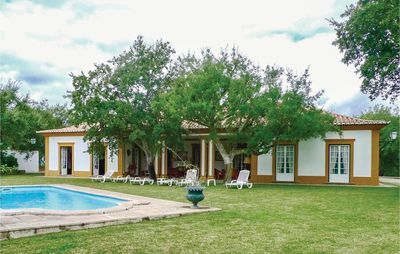 There's an unusually large swimming pool which is perfect for a property of this size, as well as separate children's pool and a barbecue, dining furniture and sun loungers. 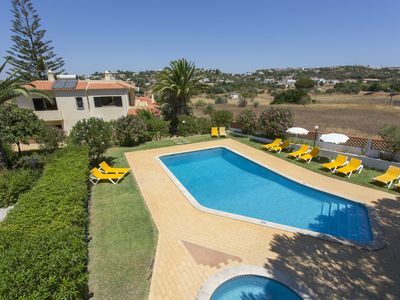 The quiet, yet easily accessible location makes Casa Angelica Miracampo the perfect base for a summer holiday for large groups of friends or families a like - it's within a walk of the supermarket, beach and a handful of restaurants, and is only a short drive or taxi ride from the restaurants and nightlife of Albufeira.